Other ways of telling: Andrei Tarkovsky. Listen: you are not yourself, you are crowds of others, you are as leaky a vessel as was ever made, you have spent vast amounts of your life as someone else, as people who died long ago, as people who never lived, as strangers you never met. The usual I we are given has…none of the porousness of our every waking moment, the loose threads, the strange dreams, the forgettings and misrememberings, the portions of a life lived through others’ stories, the incoherence and inconsistency, the pantheon of dei ex machina and the companionability of ghosts. There are other ways of telling. One of the goals of VR documentaries, suggested by the filmmakers behind Collisions and Clouds over Sidra, is to give the audience a sense of ‘presence.’ Immersive experiences in VR allow the participant to feel that he or she is physically in the same location as the camera. The technical constraints of VR filmmaking demand slow, deliberate camera movements. Many VR films have a structured narrative while still giving the audience the agency to decide what they will look at during the film. To paraphrase one reviewer of Clouds over Sidra, what moviemaker in the past would include 20 seconds of ceiling shots, looking up at the top of the tent? I include these observations about VR film because I’d like to highlight the ways in which Russian filmmaker Andrei Tarkovsky uses similar techniques in many of his films to produce an immersive, experiential cinema experience. 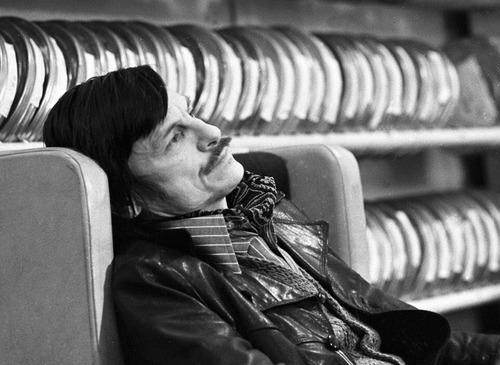 During his career, Tarkovsky directed only seven feature films, including Solaris, Stalker, Andrei Rublev, and Mirror during the period 1962-1986. He was a pioneer in the field of cinema, experimenting with new narrative techniques and theories. Many of Tarkovsky’s films are characterized by extremely long takes, slow camera pans, and very few cuts. He developed a theory of cinema called “sculpting in time,” in which he explored how film can twist and alter the audience’s experience of time. Unedited movie footage and lengthly sequences were used to heighten that feeling of time passing. I watched Solaris for the first time in college and I remembered being shocked by a long, drawn-out driving sequence within the first ten minutes of the film. The scene is nearly five minutes long. 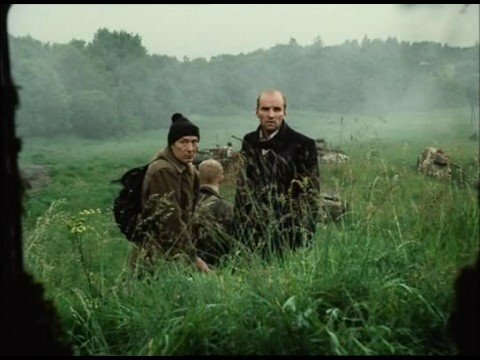 On a personal level, I’ve learned from Tarkovsky that compelling films do not need to have a strict narrative, nor follow time limits or other cinematic constraints. Tarkovsky’s films were so powerful because they pushed the audience into a state of heightened attention. Crafters of immersive/experiential films often need to make similar decisions about timing, camera movement, and narrative in order to tell the most compelling story possible. The VR film Collisions, for instance, mixed beautiful, wide landscapes with meandering narration in very lengthy shots. With my work in this class, I’m interested in exploring the kinds of experiential, non-linear narrative that Tarkovsky’s films often embody. Previous Previous post: Finnegans Wake-ify: An experiment in generative text. Next Next post: Project Development Studio: Project proposal.